Google’s Project Stream allows gamers to stream AAA games such as this month’s new Assassin’s Creed title, directly in its Chrome browser with minimal lag. A new streaming service from Google has long been rumored, supposedly called Yeti, but now Google is no longer hiding its ambitions for a video game streaming service. As part of a partnership with Ubisoft, the French video game company behind the hugely successful Assasin’s Creed Series, a demo of Project Stream has been revealed. The service launches on October 5th for a limited time. Google has not announced how long it will last, but we know it will be some time in mid-January. You’ll need to have at least 25Mbps of download bandwidth for the service to work, and it is only available in the US at launch. You must be at least 17 to participate. You can sign up to take part in Project Stream here. Video game streaming has been slow to catch on compared to video services such as Netflix, Amazon Prime and Hulu. GeForce Now, by Nvidia, launched in 2015 and provides cloud gaming services. Sony also has its own cloud gaming subscription service called PlayStation Now, but it is largely filled with PS2 and PS3 titles. Now, ChromeOS is getting involved in the party. One of the main problems with AAA game streaming is latency. Unlike with video services, players need to be able to control the action in real time, meaning even a little buffering is a deal-breaker for serious players. Google is calling Project Stream a “technical test”, with the goal of solving these issues. The $60 physical AAA video game is dying. Subscription services are the future. 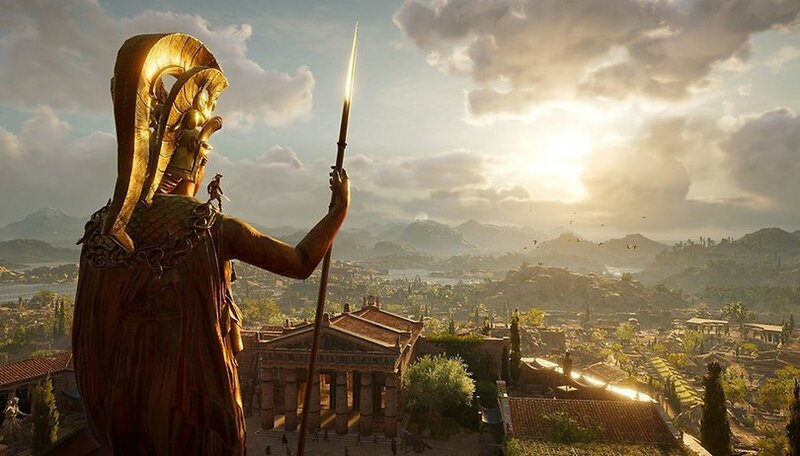 Assassin's Creed Odyssey promises players an epic journey in Ancient Greece to become a legendary Spartan hero. The game is coming out on October 5 for PlayStation 4, Xbox One, Nintendo Switch and PC.